Optimize your storage space. 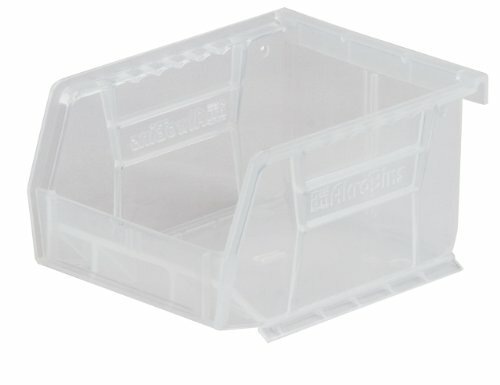 AkroBins are the industry-leading hanging and stacking plastic storage bin. 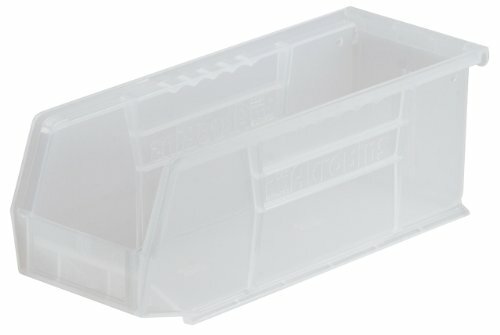 Heavy-duty, industrial-grade polymer bins stack together or hang from Akro-Mils louvered racks and panels, rail racks, storage cabinets and louvered carts for high-density storage. AkroBins are corrosion-proof and unaffected by weak acids and alkalis. 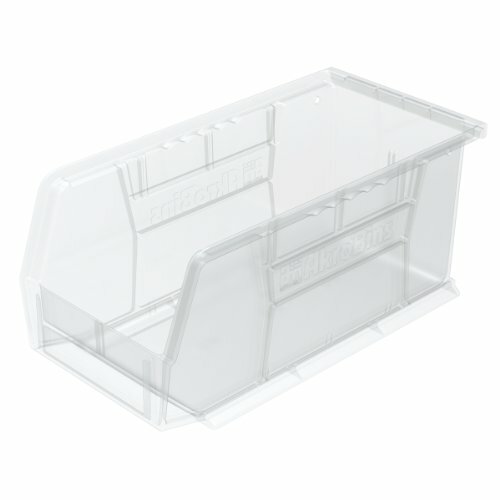 Dividers, lids and a wide range of labeling options are available. AkroBins stack to save storage space. 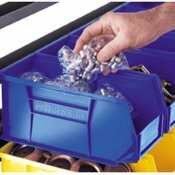 These small 30210 bins make it easy to store small parts and take them to any work area. Use stacked or on the shelf. Tough and will not crack or shatter. Made in USA. 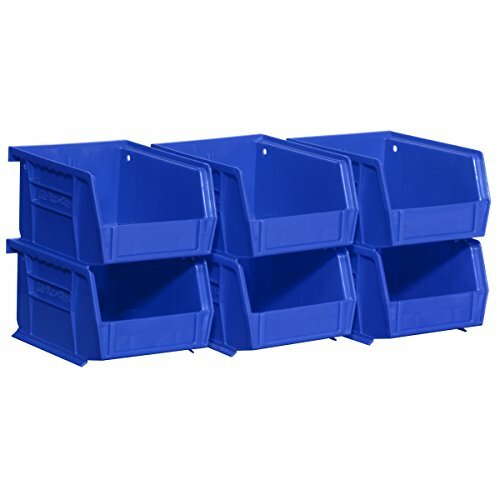 Develop an efficient storage system using these versatile bins that stack with each other, sit on shelving or hang from Akro-Mils louvered panel (sold separately) hanging systems. 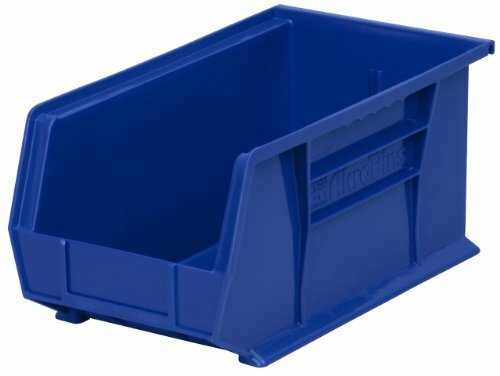 Injection-molded, blue polypropylene bins are virtually unbreakable and waterproof. Clear bins offer a quick visual check of contents. 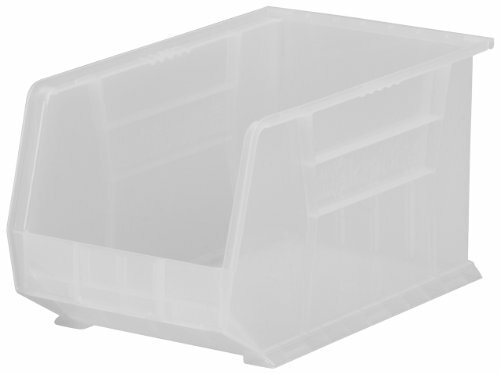 Heavy-duty polypropylene bins are water-, rust-, and corrosion-proof. Bins feature a full-width hanger lip to hook onto racks or panels. 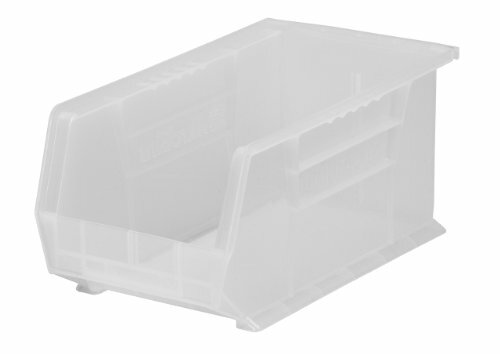 Molded design includes large stacking ledge and label slots. Autoclavable up to 250F. 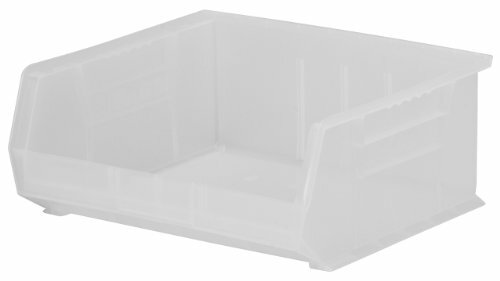 Order bins in quantities specified, priced each.